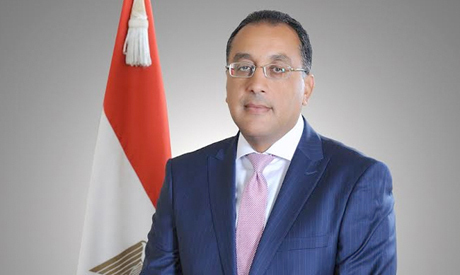 Egypt's newly appointed prime minister Mostafa Madbouly is expected to deliver a policy statement before parliament – the House of Representatives – on 23 June. The statement will be subject to a vote of confidence in accordance with Article 146 of the constitution. Informed sources said the procedure is necessary as Article 146 of Egypt's 2014 constitution states that a newly appointed prime minister should deliver a policy statement before parliament, and that this statement should gain a vote of confidence within 30 days. Salah Fawzi, a constitutional law expert, told parliamentary reporters that "after new prime minister Madboui delivers his policy statement, a parliamentary committee will be formed to review and discuss this statement." "After the ad hoc committee prepares a comprehensive report on this statement, it will submit to it to parliament to discuss it in a plenary session," said fawzi, adding that "once discussed, there will be a vote of confidence." Article 146 of the constitution also states that "if the statement failed to gain a vote of confidence within the required 30 days, parliament would be considered dissolved and a new parliament would be elected within sixty days." Fawzi explained that "when President Abdel-Fattah El-Sisi decided to name former housing minister as new prime minister last week, many thought that each one of the members of his new cabinet would be required to gain the approval of parliament after reviewing their CVs and qualifications. This is correct only when there is a minor cabinet reshuffle and in accordance with Article 147 which states that this minor reshuffle should be done only in coordination with parliament." Independent MP Saad Hammouda told Ahram Online that "we expect that the new government, which was sworn in before President El-Sisi today, will have a number of priorities such as completing the implementation of the mega-development projects – such as the new Administrative Capital which was under the supervision of Madbouly when he was a housing minister – and also completing the next stage of the IMF-inspired economic reform programme." Many expect that there will be a reshuffle of provincial governors. Article 25 of the current Local Administration law states that there should be a reshuffle of provincial governors following the president of the republic taking the constitutional oath before parliament. After swearing in as a president for a second four-year term on 2 June, President El-Sisi issued a decree, keeping the country's 27 governors in place until a new government is formed. MP Soliman El-Omeiri from Marsa Matruh governorate told Ahram Online that parliament is expected to discuss a new local administration law before it adjourns for summer recess next Month. "The law will regulate the performance and election of local councils, a move which could pave the way for holding municipal elections in Egypt for the first time in ten years," said Omeiri. Omeiri said the most significant development about today's changes was the change of Minister of Defence Sedki Sobhy, Minister of Interior Magdy Abdel-Ghaffar and Minister of Finance Amr El-Garhy. "While Sobhy and Abdel-Ghaffar played a key role in fighting terrorism over the last four years, Minister of Finance El-Garhy was instrumental in implementing the IMF's economic reform programme," said Omeiri. Omeiri notes that new finance minister Mohamed Maeet was key in implementing the IMF economic programme. "Maeet has the complete statistics, figures and steps of this programme and so we think that it will gain a new push in the coming stage," said Omeiri. Parliament speaker Ali Abdel-Aal announced on 12 June that the House will reconvene on 23 June. Abdel-Aal's announcement came after parliament approved three controversial laws regulating the press and media.